Home » About » Maria Mar » Where is Maria? I am a Sacred Storyteller and shaman who champions you to change your life story so that you can awaken your magic, express your creative genius, embody your purpose and live your potential now. Do you love inspiring stories? Do you have a dream you want to make a reality? Then walk into one of my alchemical stories and land into your brightest potential! My magical stories are embedded with shamanic secrets from the Sacred Feminine that empower you to manifest your dream and embody your purpose in your life now. If you like to READ and feel excited at the prospect of RIDING inspiring stories, Join my Story Lovers Club. 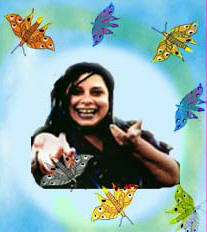 Join my MagicMark your Life Tribe and let’s ignite magic, wonder, creativity and freedom in your life and in the world! I am igniting a movement of a new generation of women who lead from the Sacred Feminine to live and work ecstatically while they create Butterfly Waves that evolve humanity and heal the planet. Get stories, books, audios, sets, courses and programs to help you transmute your problems into possibilities and create the life you want… now.